This luxurious, detached villa is centrally located in the heart of La Marina urbanisation, within walking distance of all shops, bars and restaurants, but in a quiet area. This beautiful corner plot has an electric gate that leads to the covered parking. The veranda is glazed and can be used as a large conservatory. From there you can easily access the interior of the house and a large living room, fully equipped kitchen, utility room / laundry, three large bedrooms, one of which has a private bathroom with shower, a family bathroom with bath and a spacious solarium on the roof with breathtaking panoramic views of the surroundings of La Marina, as well as the hills of Rojales, all the way to Guardamar. The garden surrounding the villa is paved and graveled and holds a variety of beautiful Mediterranean plants that surround the house and are lovingly tended by the current owners. In the front part of the garden is a covered outdoor dining area, as well as several relaxation areas that invite you to relax and enjoy the Spanish climate. The villa is in excellent condition and ready for occupancy. In addition, it has an incredible number of extras, such as: oil central heating, extra storage space, air conditioning (hot and cold), built-in barbecue, outdoor shower and much more, such as a carport of 6 metres, hot water via solar panels, decalcification, Junkers oil central heating, American fridge (ice maker with mains water supply), all incandescent lamps as LED 3rd generation (chip on board ), baseboard heater in the bedroom, thermal window, electric gate, new pool pump, garden irrigation, storage room on the roof, German and Spanish TV, also in the guest room, 2 Internet connections, telephone, etc. The property is sold fully furnished including the entire kitchen and all electrical appliances. Fantastic value for a just 15 years old luxury villa in superb condition. Inspection is possible by arrangement and should be promptly claimed, as such an outstanding property will not be long for sale. You are enquiring about 3 bedroom house / villa for sale in La Marina, Costa Blanca and your enquiry will be sent directly to Belvedere Estates. Established in 2014, Belvedere Estates had its first office in the U.K and expanded into the Spanish real estate sector, we have now become a Spanish owned Estate & Rental Agent based in Torrevieja, Spain. With many years experience of the Spanish property market, Belvedere Estates Inmobiliaria will help you in all aspects of buying your dream property on the Costa Blanca. This is a property advertisement provided and maintained by Belvedere Estates and does not constitute property particulars. Whilst we require advertisers to act with best practice and provide accurate information, we can only publish advertisements in good faith and have not verified any claims or statements or inspected any of the properties, locations or opportunities promoted. propertyandvillasinspain.com does not own or control and is not responsible for the properties, opportunities, website content, products or services provided or promoted by third parties and makes no warranties or representations as to the accuracy, completeness, legality, performance or suitability of any of the foregoing. We therefore accept no liability arising from any reliance made by any reader or person to whom this information is made available to. You must perform your own research and seek independent professional advice before making any decision to purchase, rent or invest in property. 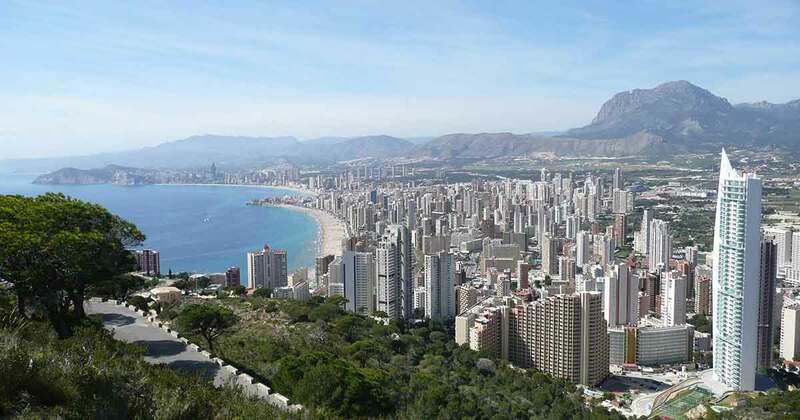 Want the latest properties in La Marina, Costa Blanca in your inbox?